Mola Mbua Ndoko: Wisdom and Ways of the Bakweri People: 330. Mokpwe Cultural Beliefs: Moowo/Mojeka..
Moowo/Mojeka = a fetish that is expected to punishpersons carrying out unauthorized harvest in a farm. Yasi nanu, During the period 1925-1945 an elderly man, Mola Mosongo Masua and his wife Iya Liwovi, lived in their farm that wassituated outside Wonduma VillageFence , on the Mountain (Fako) sideof the track that connects the villages of Wondumaand Wokpwae. The farm was adjacentto Wonduma Village fence and closeto the fertile path of Iname dry Ravine floods. Crops in the farm –coco yams, plantains,potatoes, cassava, fruit-trees – all flourished very well. 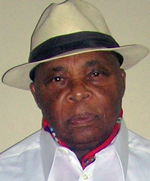 It was widely believed that Mosongo had installed a fetish (moowo) in the farm that punished thieves instantly. Consequently, he farm was not frequentlyvisited by thieves. It was generally discussed that a certain woman aftercarrying on her back a basket (moosai/esoko)full of coco yams that she unauthorized harvested in Mosongo’s farm could no longer trace the exit from the farm. She wandered in the farm and after beingfatigued by the weight of the coco yams and meandering for a long time in thefarm collapsed in the farm. It was alsosaid that two men harvested two bunches of plantains in the farm and that aftercarrying the plantains on their heads they were unable to find the way out ofthe farm and were also not able to drop the bunches of plantains on theground. Both men collapsed in the farm. Children in the villages of Wokpwe, Wokova wo Lelu, Mwangaiand Lysoka who used the Wokpwai-Wonduma track frequently to goto school at Great Soppo were r warned not to harvest any fruit in Mosongo’s farm, not even a coco yam leafor a plantain leaf for use as shelter against rain.